This year, Toyota will be competing in the 24 Hours of Nürburgring for the 10th year in a row. In order to celebrate this terrific feat, the automaker is announcing a triple-entry into this year’s race, which will be held on May 26th – 29th on the famous race track in Germany. 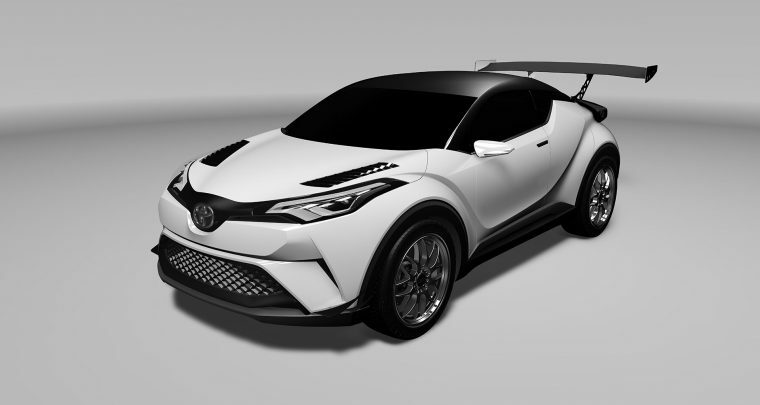 The three vehicles that will compete are a C-HR Racing, a Lexus RC, and a Lexus RC F. The C-HR Racing is based on the Toyota/Scion C-HR concept, which will soon become a production model. By choosing a crossover rather than a pure sports car, Toyota will use the knowledge gleaned from this race car’s performance to influence future vehicle development. The Lexus RC will be participating for the second time, and the Lexus RC F will be built in partnership with TOM’S mechanics.